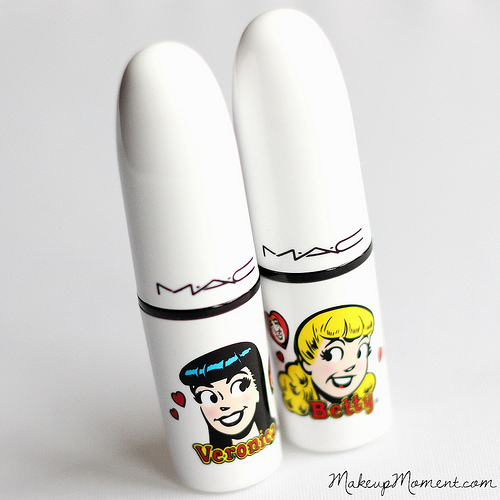 MAC released their Archie's Girls collection last week and from the moment it came out, it was an immediate hit. Not only is the packaging cheerful and fun, but the products themselves are just downright lovely. There are many Archie lovers out there, and whether you are a Betty or Veronica fan, there is bound to be something in this collection for everyone. Here are the items that I picked up! 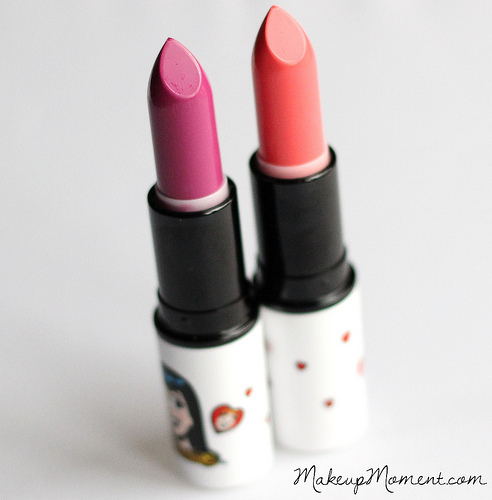 Daddy's Little Girl and Betty Bright ($16.50, each) were the two lipstick colors that intrigued me most. Not surprising really, since I tend to always favor bright lip shades. Daddy's Little Girl -a mauve pink, and Betty Bright-a vivid peach, didn't disappoint in many aspects, and there is a reason why these two are among the most popular in the collection. 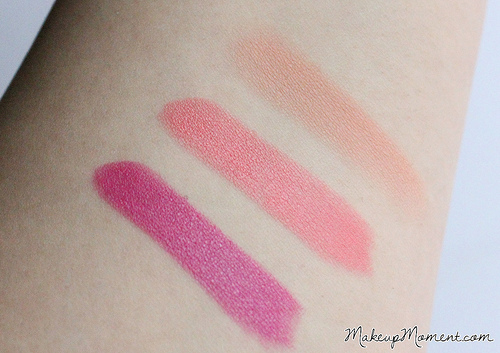 Both lipsticks go on amazingly smooth, and they are super pigmented to boot. I really can't recommend these lip colors enough, and I am sure that many will enjoy them. Oh, and by the way, I think these two particular colors make great Spring/Summertime lip shades, don't you agree? 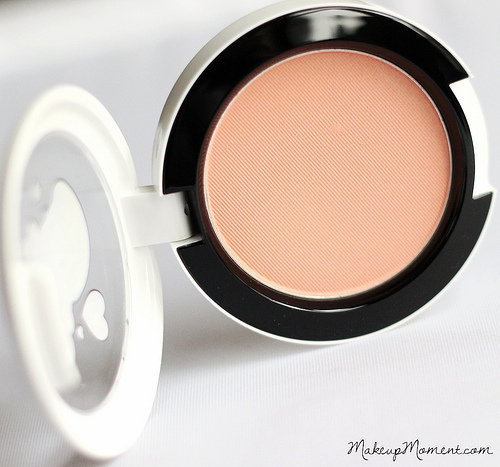 Cream Soda ($22.00) is a gorgeous peach, that contains subdued shimmers throughout. I love how natural looking and flattering this blush is. The texture is really smooth, and it blends very well on the skin. I initially thought that it would take quite a few layers of this to achieve maximum color payoff, but I was surprised at just how easily buildable this blush really is. It doesn't take much to get a pretty peach flush on my cheeks. 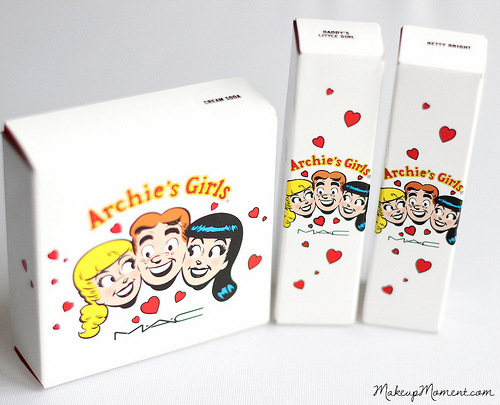 Did any of you pick up anything from the Archie's Girls collection? 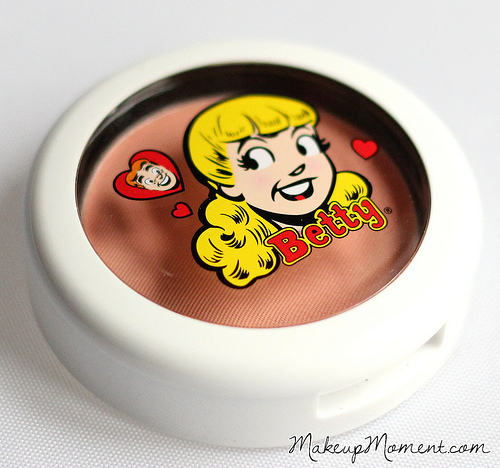 I am so glad to hear that you are loving the cream soda blush!